Kalahari Resorts celebrated its latest expansion of their property in the Poconos last week, doubling the size of the indoor waterpark to 220,000 square feet and making it the largest indoor waterpark in the country. This article discusses the expansion as well as what it means for the region overall and cites H&LA’s market feasibility study report as well as our President, David Sangree. The Pocono Mountains has carved out a place for itself as a destination for water parks in the Northeast. Now it has the largest indoor water park in the United States. Kalahari Resorts & Conventions completed the second phase of its expansion in Pocono Manor in March and is holding grand opening celebrations March 17-19. The expansion doubled the size of its indoor water park from 100,000 to 220,000 square feet, making it the largest in the country, according to its website. Kalahari also expanded their outdoor water park and resort, which now has 977 guest rooms, according to Don Pleau, general manager and a board member of the Pocono Mountains Visitors Bureau. That’s in addition to the Kalahari’s existing 40,000-square-feet family entertainment center; its 65,000-square-feet convention center; 6,000-square-feet retail space; spa and salon; and several food outlets, according to Pleau and the Kalahari’s website. 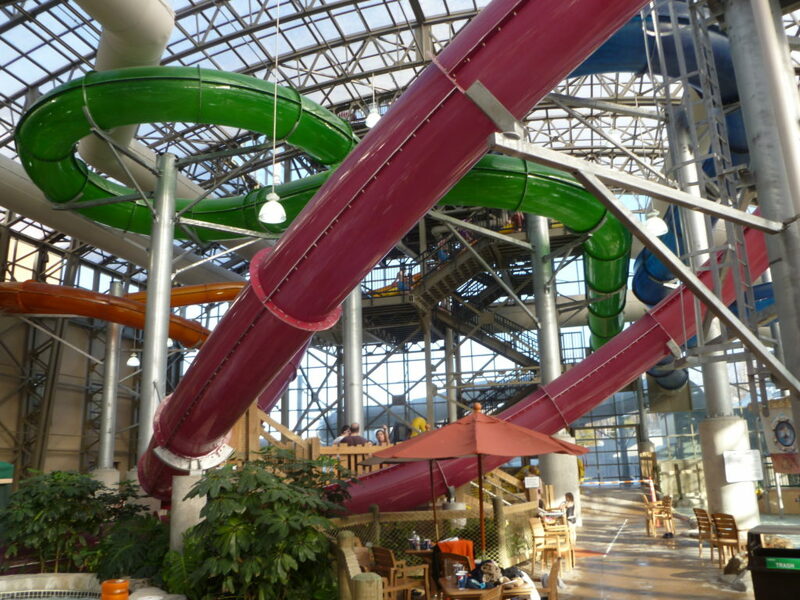 Kalahari Resorts and Conventions in the Poconos have always planned to be the biggest indoor waterpark in the world. In March, they’ll end Phase II of that plan — biggest in the nation. There used to be between 2,500 to 3,000 visitors in the resort on any given day, Pleau said. With the expansion, that’s expected to jump up to 5,000 people on its peak days. The waterpark and resort is also expected to attract up to a million people to the Pocono Mountains every year, primarily drawing from the Pennsylvania, New Jersey and New York markets. Kalahari Resorts & Conventions isn’t the only water park in the Pocono Mountains. Not by far. The Great Wolf Lodge was the first indoor water park to be built in Monroe County in the fall of 2005, according to the Pocono Mountains Visitors Bureau. It was followed by the opening of Split Rock Resort’s H2Oooohh! in 2008 and then Kalahari and the Camelback Aquatopia Indoor Waterpark in 2015, according to the Pocono Record. Camelback also has Camelbeach, an outside water park. Just an hour’s drive to the north, tourists can visit the outdoor water park at Montage Mountain in Scranton. Blue Mountain Resort, which is best known as a ski resort, had plans to build a water park called Summit Splash in Palmerton, according to The Morning Call. That’s been put on hold, however, as the organization focuses on building a new hotel and condominium, according to marketing specialist Melissa Yingling. The Great Wolf Lodge has a 78,000-square-feet water park, and the property has anywhere between 1,500 to 1,800 people a day, according to general manager Bill Colavito. It draws about 550,000 visitors to the Pocono Mountains every year. However, only those who stay in one of their 401 suites are allowed to enter their water park. Split Rock Resort has a 53,326-square-feet water park, which draws about 100,000 people to the Pocono Mountains every year, according to marketing manager Ashley Lyon. Anyone can visit their water park, however, not just those who stay in their lodgings. So why break into a market where your competitors are so close? One of the reasons is that Kalahari knew they had the bigger indoor water park, according to a Market Feasibility and Economic Impact Report by Hotel & Leisure Advisors. It would also be one of the two newest water parks to open in the Pocono Mountains. Kalahari was expected to draw visitors from within a 180-mile radius or a three-hour drive, according to the report. That would include two big markets: the New York and Philadelphia Metropolitan Statistical Areas. Pleau said that radius has extended even further to include cities within a four-hour drive, such as Washington, D.C.